On Veterans Day, the American Red Cross honors people like Sharon Azan. In 1985, Sharon Azan was stationed in Naples, Italy, with the United States Air Force when she got a call from the American Red Cross. Five thousand miles away, Azan’s uncle had passed away, and her family contacted the Red Cross to relay an urgent message about his death. It was that one phone call—all those years ago—that recently prompted Azan to connect with the American Red Cross in Minnesota. Now, she’s training to become a Red Cross Service to the Armed Forces (SAF) volunteer. For more than 100 years, the Red Cross has been hard at work supporting the men and women of the American armed forces. Today, no matter where American armed service members are in the world, the Red Cross is dedicated to delivering emergency communications messages through the American Red Cross Hero Care Network, which is available 24 hours a day, 365 days a year. The Red Cross provides around 370,000 services each year to active-duty military, veterans, and their families—including more than 3,000 in Minnesota last fiscal year. In addition to emergency communications, the Minnesota Red Cross provides courses and workshops to help military families cope with life after deployments. The Red Cross invites you to say “thanks” by signing and sending cards through Holidays for Heroes to U.S. military and veterans. Click here for information, including where cards to send cards, the program deadline, and other important guidelines for the cards. During this time of year, Red Cross volunteers in Northern Minnesota are particularly busy supporting Minnesota Assistance Council for Veterans (MAC-V) ‘Stand Down’ events, collecting and distributing Holiday Mail for Heroes cards for local military members and veterans, and participating in Veterans Day events. These activities help fulfill our Service to the Armed Forces, which is a core service that the American Red Cross delivers. And, is always an honor to provide. At the Veteran Stand Down event in August in Virginia, MN, one of our newest volunteers, Wendy Frederickson, and an experienced disaster relief volunteer, Lisa Kvas, participated in the event as their first time delivering Red Cross services to military members and veterans. Wendy shared that the best part of participating in Red Cross work with veterans was the privilege to meet a Vietnam War veteran named Richard Krisean, who had never attended a veteran-focused event since returning from Vietnam. Richard was a Radar Intercept Officer with the Marines in Vietnam and flew in 192 combat missions. Wendy shared that Richard’s experience in returning from Vietnam was not positive at all and that Richard was shocked at the depth and breadth of the services that were made available at the event for veterans. Wendy said that when she was sitting down with Richard for lunch that she told him that “Something is telling my heart that you are the reason I am here today.” Richard said that he felt the same way. Lisa Kvas added, “Meeting Richard really struck home to me as to how proud that we really are of all of them. Showing that, and sharing that, was really much more important than the blanket that we handed them. That is what has the impact.” When Lisa was asked about what it might take for a volunteer to be able to make a difference with our Service to the Armed Forces, she shared that it is very similar to the qualities that make a good disaster volunteer – compassion and hope. This year, we had the added resource of new blankets to give out to the veterans attending the Stand Down events in Virginia, Duluth, Grand Rapids, and Bemidji though a partnership with the Duluth Fire Department. Through a national charity, we were able to give out 1,000 blankets to both veterans at these events, as well as to victims of disaster across our Northern Minnesota Chapter area. Our take is that that 80% of success is ‘showing up.’ This means two of the most important pieces of the work we do with our military service members and veterans at the Northern Minnesota Chapter are 1) showing up; and 2) not waiting for our military heroes to raise a hand for help. By making a commitment to being at events that support our military units and veterans, it gives us the opportunity to make a difference when it is needed. Though programs like Holiday Mail for Heroes, we distribute bundles of holiday cards written by local community members to all of the members of the units we support locally; as well as to all of the veterans living in nursing homes that we supply cards to. The reason is that on any given day it is impossible to identify exactly who would benefit from getting the bundle of cards thanking them for their service and wishing them a great holiday season. By giving the cards to everyone, we are letting our local communities share their appreciation of the commitment our veterans have made. This year we expect to distribute over 16,000 cards. On Veterans Day, we will participate in four events happening in the Duluth area. We will support the Veterans Day parade in downtown Duluth by providing donuts, coffee and hot chocolate for our veterans who will be marching in the parade. We also have card-signing events going on at Bent Paddle Brewing and the College of St. Scholastica hockey game. Lastly, at the University of Minnesota Duluth (UMD) hockey game, the UMD Greek Life Club will be supporting a card-signing table, and the UMD Athletic Department will recognize our Northern Minnesota Chapter Board Chair (and retired Colonel from the MN Air National Guard) Penny Dieryck, as well as Richard Krsiean, the veteran we met in Virginia, for their service to our nation. If you are a veteran, please accept our sincerest thanks for your service to our country. If you would like to get involved with the work of Red Cross Service to Armed Forces, reach out to your local Red Cross chapter to find out how you can help. 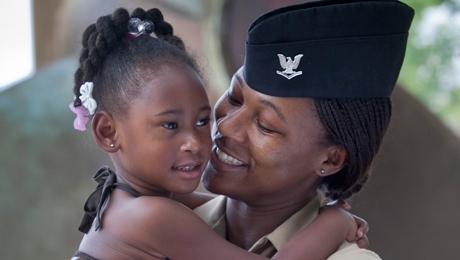 The American Red Cross has a new mobile app for military families and veterans. The Hero Care App provides instant access to vital Red Cross services anywhere in the world. Whether you’re a military member, the parent of a child in the military, a military spouse, or a veteran, this free mobile application guides you to valuable resources and services that can help alleviate stress and provide important information at your fingertips. In addition, with the Hero Care App you can connect with other Red Cross apps, such as the Emergency, First Aid and Blood apps. To download to the Hero Care App to your smart phone or tablet, search for ‘American Red Cross’ in your app store, text GETHEROCARE to 90999 to receive a download link, or go to redcross.org/apps. The Hero Care App is available in English and Spanish. 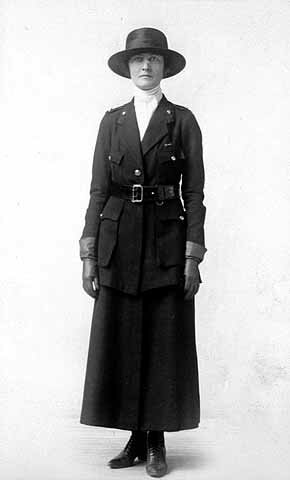 Dee Smith, 36, served with the American Red Cross as secretary in Paris, during World War I. Photo from the Minnesota Historical Society collection. During World War One, people in Minnesota made a major contribution to The Great War effort. Minnesota women were among them. At home, they did many things to help, such as darn socks, make bandages, pack comfort kits, and offer first aid classes. More than 120 of them chose to be close to the front lines in Europe. Their names included Ruby, Marion, Grace, Marguerite, Julia, Aileen, Verna, Leila, Mary, Alice, Helen, Dee, and Rose. Their jobs were many, such as canteener, secretary, nurse, supply-truck driver, and social worker. They, like the men they helped, held steadfast. As part of ongoing remembrances during the war’s centenary years through 2018, we share below an exceprt from “Awfully Busy These Days: Red Cross Women in France During World War I” by Nancy O’Brien Wagner and published in the Minnesota History Magazine, Spring 2012. Alice O’Brien dismissed these discomforts with suspiciously adamant protests. All your letters carry messages of Sympathy such as–I must be working so hard–not enough food–not enough sleep–feet must be sore, etc. etc. I am sorry if my letters have given you that impression because it is not a true one. Of course we do work hard but we love it and nothing is as healthy as hard work. We have fine beds, and I assure you we use them a lot. I have never been better in my life–never–and I have everything I need. The whole idea here is anything to keep the morale of the men as high as possible, & everyone is so proud of them that no one begrudges them a good time. It is fine for the girls, too, tho no one ever seems to think they may get lonely and discouraged. I have met an occasional one who was frankly homesick, & don’t doubt there are others who are, but keep it to themselves. I think I might be if I didn’t have lots of work, but I haven’t time to think of being homesick. I sometimes even forget there is a war. World War I-era, 1914-1918, Red Cross poster in the Minnesota Historical Society collection. In the fall of 1918, Marguerite Davis and Alice O’Brien watched as train after train of men unloaded at their camp near Chantilly. “We are awfully busy these days,” Alice wrote home. On September 7, their friend Doris Kellogg reported that, with just three other women, they served 1,157 meals in their canteen in three-and-a-half hours; on September 18, they dished up 1,300 meals, and on October 20, more than 1,600. 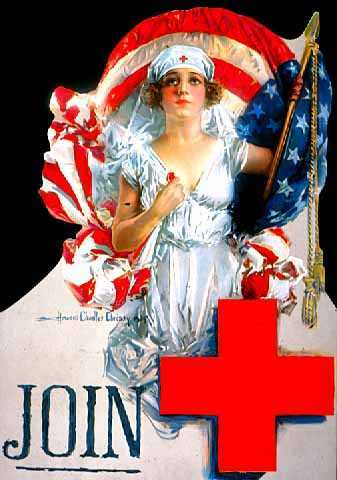 To learn more about the American Red Cross during World War I, click here. The American Red Cross has two new workshops that help children of military families to manage challenges that are specific to their lives. The workshops, Roger That! Communication Counts and 10-4: Confident Coping, teach essential life skills for military kids and teens to better manage stressful social situations. Each of the workshops is composed of two modules with activities designed for children 8 to 12 and teens 12 to 18 years old. The Roger That! Communication Counts workshop focuses on the importance of developing quality interpersonal communication and listening skills. Operation 10-4: Confident Coping focuses on bolstering strengths present in older military children to help manage stressful situations. The new workshops are part of the Red Cross reconnection workshop series. Red Cross volunteers, who are licensed behavioral health professionals and trained to work with children, facilitate the workshops. All professionals have undergone extensive background checks as required by the Department of Defense for adults working with children. Additionally, a second adult is also available during these workshops for support and assistance to the groups. For more information about this free and confidential program, go to redcross.org/reconnectionworkshops. 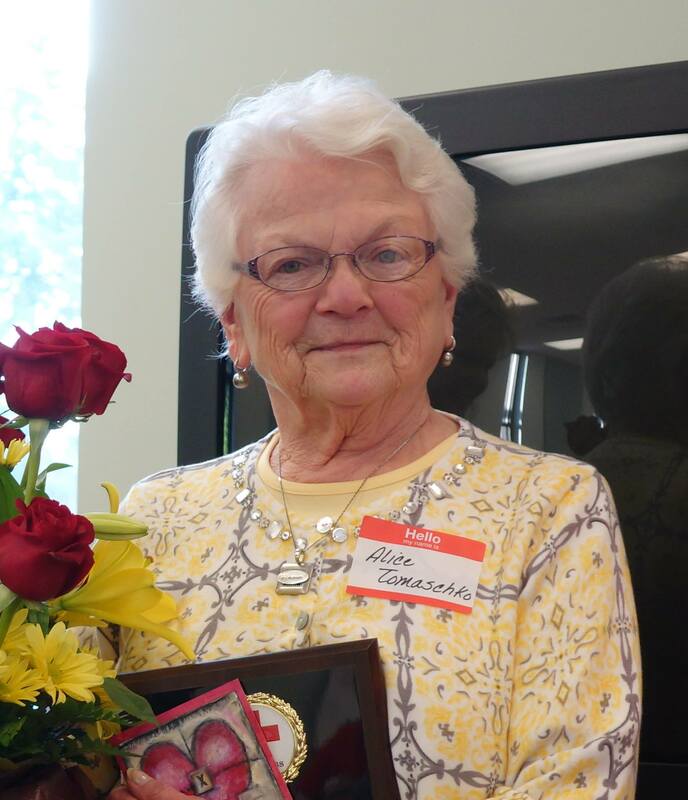 Red Cross volunteer Alice Tomaschko recently received her 60-year service pin in Austin, Minn. Photo credit: Carrie Carlson-Guest. “I’m never speechless.” But after receiving her 60-years of service pin from the American Red Cross, followed by a Volunteer of the Year Award, Alice Tomaschko was without words. Her fellow volunteers, who attended the volunteer recognition event in Austin, Minnesota, were not. They had much to say about Alice. They described her as a mentor, friend and inspiration. Looking around the room it was clear that Alice had made an impact during her decades of Red Cross volunteer service. A few days later, I talked more with Alice about her life and volunteer work with the Red Cross. Throughout our conversation Alice laughed. She told me about her children, and late husband, and how volunteering always had been a part of her life. Wonderful is the word Alice uses to describe her life, a life filled with service. Simply, she enjoys volunteering. Alice started volunteering with the Red Cross in 1955 when she was pregnant with her first daughter. First, she volunteered at local blood drives. She used a typewriter to record donor information. Later, she trained to work with military families, which she describes as one of the greatest things she has done with the Red Cross. Through volunteering with Service to the Armed Forces, Alice witnessed the help Red Cross gave to families. Alice’s husband and his family experienced this assistance firsthand when the Red Cross helped her husband get home for his grandmother’s death. That help is why she chose to volunteer with the Red Cross. 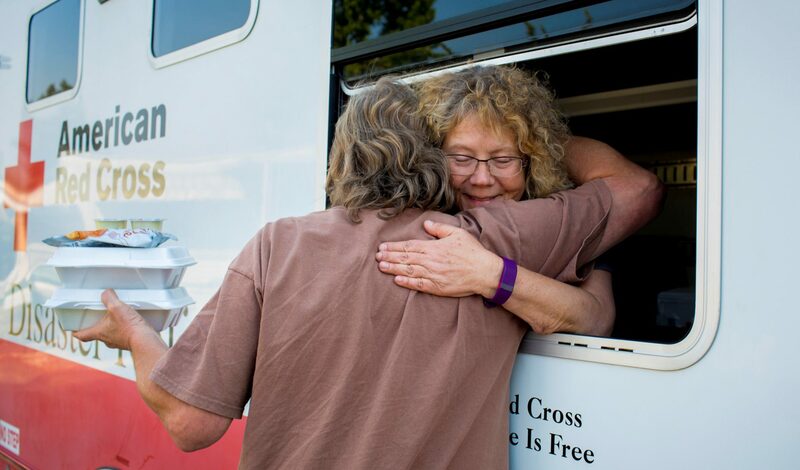 For more information about becoming a Red Cross volunteer, click here.